Location - The track is one of the lesser accessible. Staying in St Louis is probably your best bet but even then the track lies the best part of 90 miles to the south-east. I-64 is the most likely route out of town whilst IL-13 may be an alternative option. If you're looking for something closer to Indianapolis, Effingham might be a nice alternative being 100 miles to the north of the track via I-57. Parking - When I attended the USAC Silver Crown race the State Fair was in full swing. Parking was therefore somewhat tricky with the state fair taking up a fair amount of space. 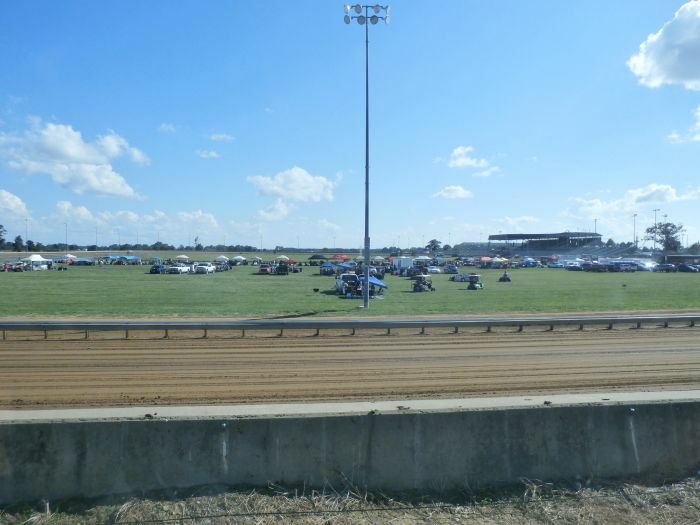 General parking did appear to be around the turn one area although others managed to find various places to park around turn four and the grasslands behind turns three and four. In any case you won't find friendlier people than the American mid-west so provided you don't park somewhere stupid you'll be ok. Premiere Meeting - As far as I'm aware the track hosts motor racing on just one weekend a year and is utilised as a horse track for the rest of the year. 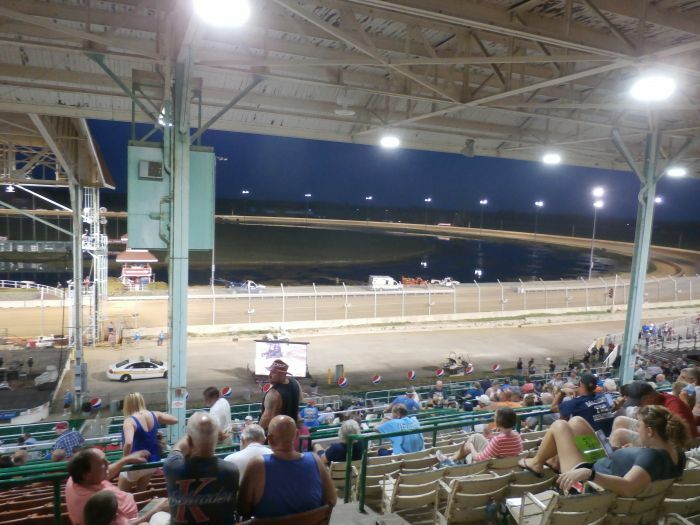 For dirt racing fans the USAC Silver Crown series is a near unmissable event competing for the Ted Horn 100. Also worth attending - The following night sees the ARCA series make a visit whilst in 2018 Modifides competed across both nights competing in their main event on the second night. Best spot to sit - The main grandstand along the front straight is flanked by open air bleachers at either end. Both options have merit. I sat fairly high in the grandstand and it was hot. It would appear the roof keeps the heat in which can work both ways. The bleachers are a nice alternative. 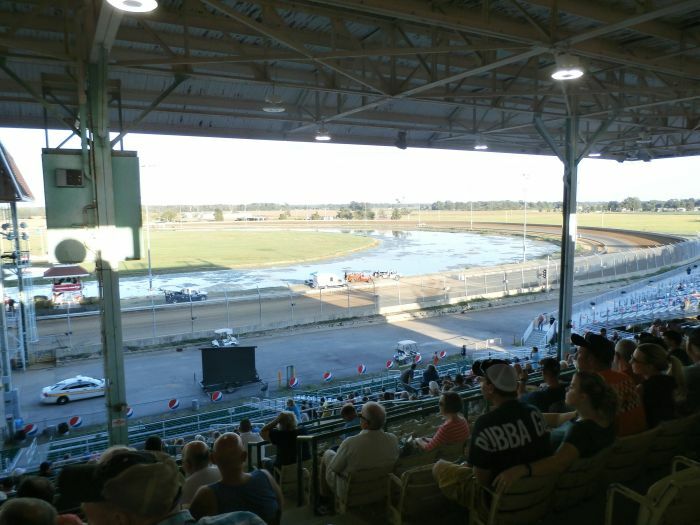 Particularly the bleachers to the right of the main grandstand as they provide optimal viewing of the turn one entry. 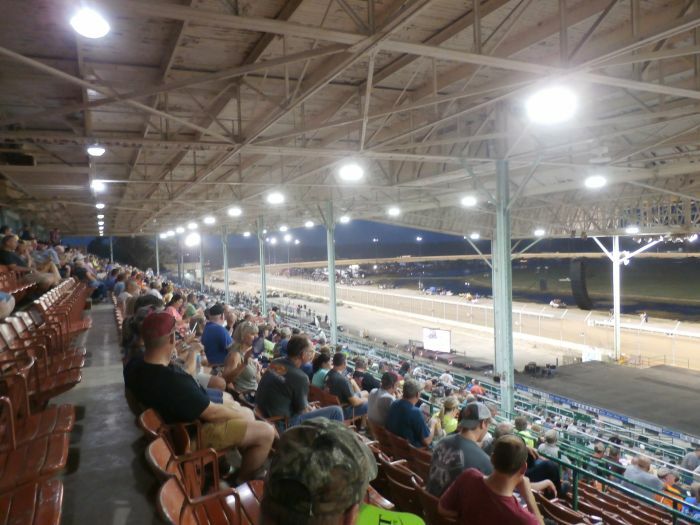 At a mile track is can be hard to get a feeling for the speeds involved and to overcome that the turn one bleachers are your best bet. Classes run - Silver Crown, US Modifides, ARCA. 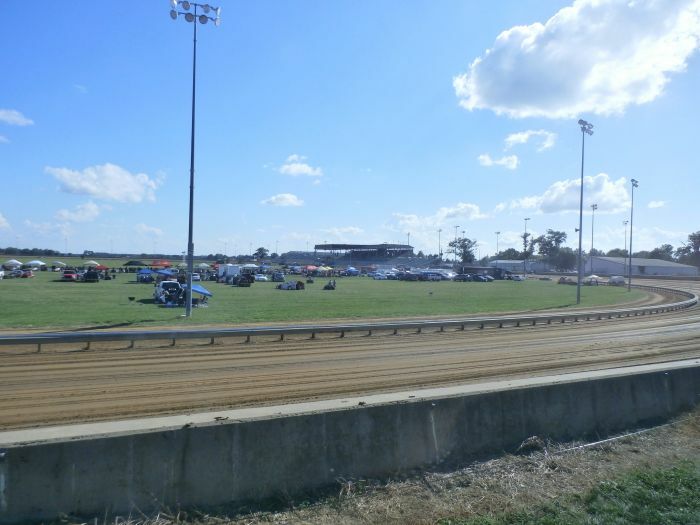 Uniqueness - Coming from New Zealand where we operate almost exclusively on quarter miles it doesn't get much more unique than a mile long dirt track. Sitting in the main grandstand during time trials there were points on the track where you couldn't hear the cars they were so far away! 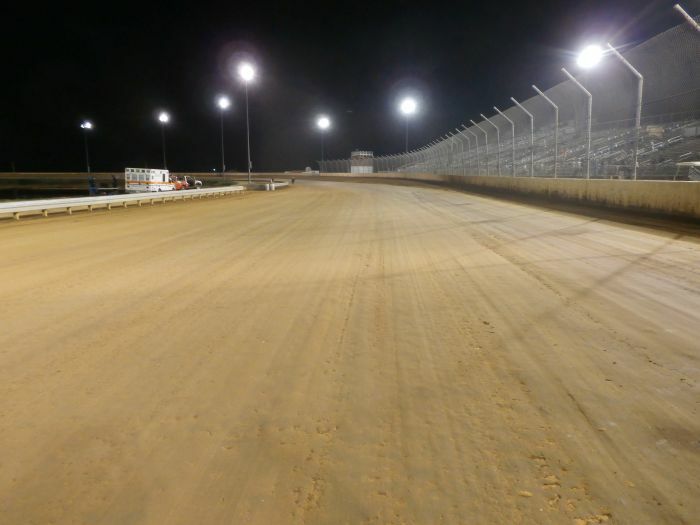 The track does have lights which aides maintenance of the track surface. 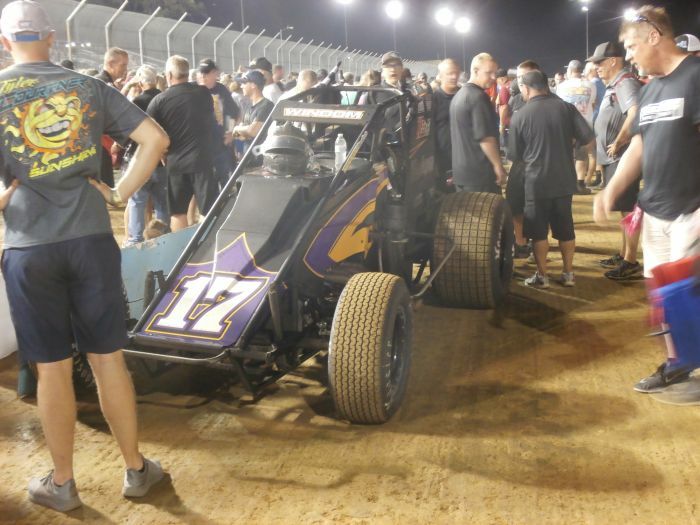 The 100-lap Silver Crown race requires tactical thinking which adds an element to the racing we don't see in normal dirt track racing. The safety wall in the corners is not large but did the job when a car went off-line and gave it a clout. However a big crash would see a car and driver come to rest some distance from the racing surface.